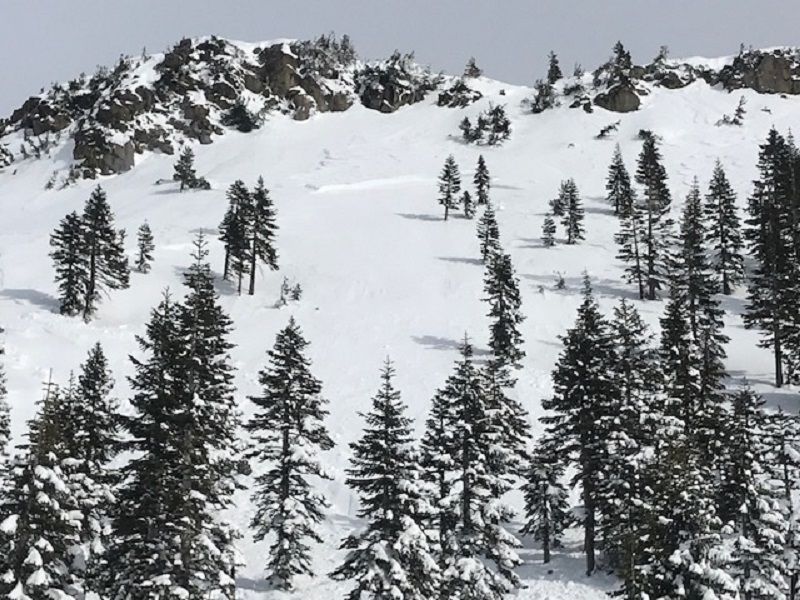 Two wind slab avalanches observed today in the Old Ski Bowl. Both appeared 1 to 2 days old and were very similar in size and characteristics, but on opposite aspects. Yellow Butte: 8,500 feet, west facing. Trigger appeared to be natural. Crown was 1-2 feet deep, 100 feet wide and ran the full length of the slope through trees. Green Butte: 8,500 feet, east facing, possibly snowmobile triggered or natural. Crown 1-2 feet deep and 150 feet wide. The two slides appeared to have failed on the hard rain crust that formed on our recent, rain on snow event (Jan 19). All slides were big enough to bury, injure or kill a person and started on slopes 37-40 degrees. The weather today was overcast with calm wind. Yesterday in the AM hours and the night prior, northwest winds hammered the mountain. Giant plumes of wind blowing snow was visible from town. Temperatures have remained chilly all week with no precipitation.